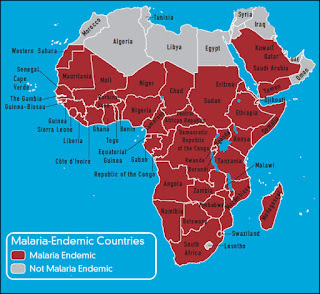 Malaria is among the world's worst scourges. In Africa in 2016, 194 million people were infected by malaria and nearly half a million died from it. The deadly disease is caused by a parasite and transmitted by mosquito bites. A team of biologists at Imperial College London may have the weapon to end the scourge. They've successfully gene-edited mosquitos to self-destruct. They've targeted a patch of DNA that never varies. By gene editing the female mosquitos into infertility, the population becomes extinct within 5 to 11 generations. If this gene editing is as successful as lab tests have been, the scientists believe malaria could be eliminated within 2 decades. Computer models indicate that in the wild mosquito populations could be made extinct by the technique within 4 years.